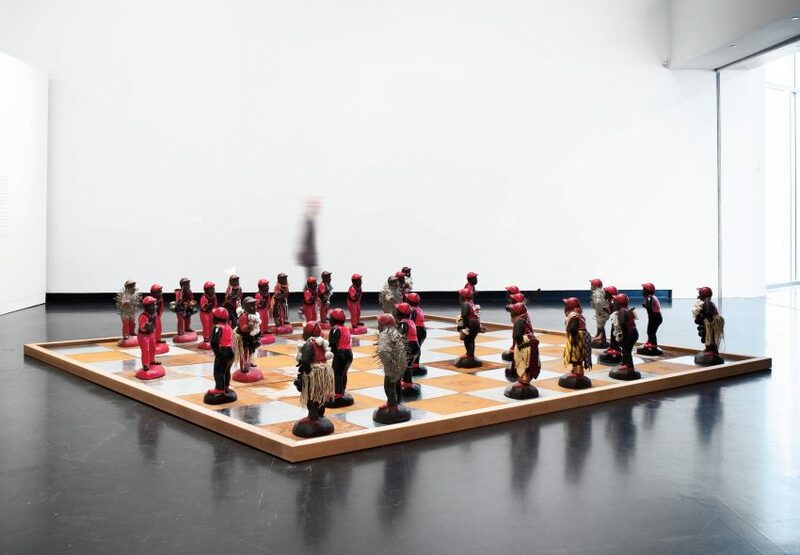 Contemporary American sculptor and visual artist Willie Cole created this huge board with black lawn jockeys for chessmen to turn around a negative stereotype. The renowned African-American artist created the 32 lawn jockeys of cast-concrete and mixed media, galvanized steel and wood. Each figure is 26 1/4 x 17 1/2 x 10 1/2 in. and the installed size of the work is 32 1/2 x 198 x 198 in.